The first Mass in Fairfield was celebrated in 1852 in a private home by the Reverend Thomas J. Synott, pastor of Saint James, Bridgeport (now St. Augustine Cathedral). Under his direction, St. Thomas Church was dedicated June 15, 1854. St. Thomas Church remained under the jurisdiction of Bridgeport until January of 1876 when the Reverend Martin P. Lawlor was named as first resident pastor. Saint Thomas' priests cared for all of Fairfield. In 1921 the Reverend William J. Blake, pastor of Saint Thomas, purchased land on Stratfield Road and in 1922 established the Mission of the Assumption. In 1924 Father Blake erected a temporary portable structure for the Catholics of Tunxis Hill. In 1926 the territory of Saint Thomas Parish was divided and Assumption Parish was founded. Holy Family, in the split-up, was affiliated with Assumption Parish. For many years Holy Family had the status of a chapel serving the Catholics of Tunxis Hill. Under the Reverend Thomas B. Gloster it became a mission of Assumption and thought was given to its eventual establishment as a parish. Holy Family was given independent status as a parish in July, 1938, and the Reverend John H. Loughran was named the first resident pastor. (Father Gloster had in fact been pastor of Assumption and also of Holy Family Mission.) Father Loughran launched the drive to obtain the funds necessary to build Holy Family Church. His successor, Father Boland, carried the project through to fruition. 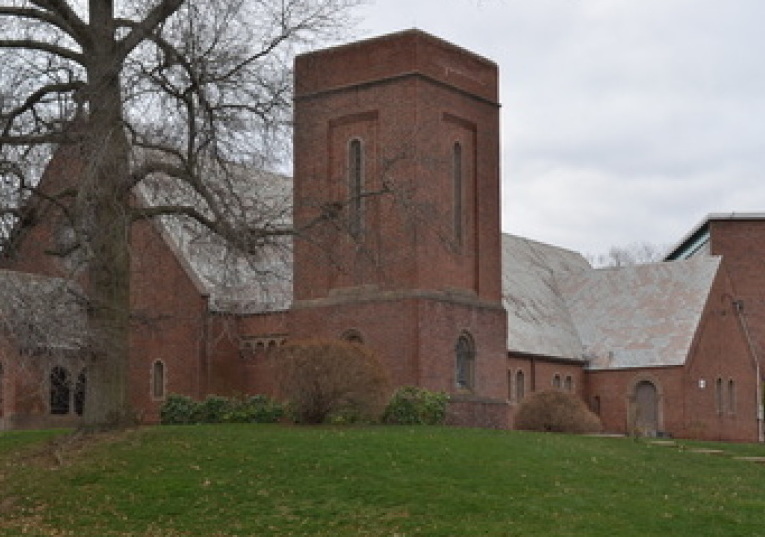 Father Loughran purchased the land for the parish campus, bounded by Knapp's Highway, Edison Avenue and Old Stratfield Road for the sum of $7,350. Ground was broken for the new church on February 3, 1941, and construction was expected to be completed in about 120 days. However, a delay in materials caused the ultimate completion to come much later. Holy Family Church was dedicated November 9, 1941. It was constructed at a cost of $60,000. A rectory was built in 1951 and a convent in 1954 to begin a program of catechism study for the children of the parish. In 1961 the sixteen room school and present church were completed under the direction of Father Dunn. The original church building of 1941 was converted into the present Parish Hall. The school was staffed by the Daughters of the Holy Spirit, who remained in the parish until June, 1975. In September, 1975, the Missionary Franciscan Sisters arrived at Holy Family Parish to staff the school. They completed their stay and assignment in June, 1981, and were replaced by the School Sisters of Notre Dame, whose provincial house is in Wilton, Connecticut. They staffed Holy Family School until it's closing in 2010. 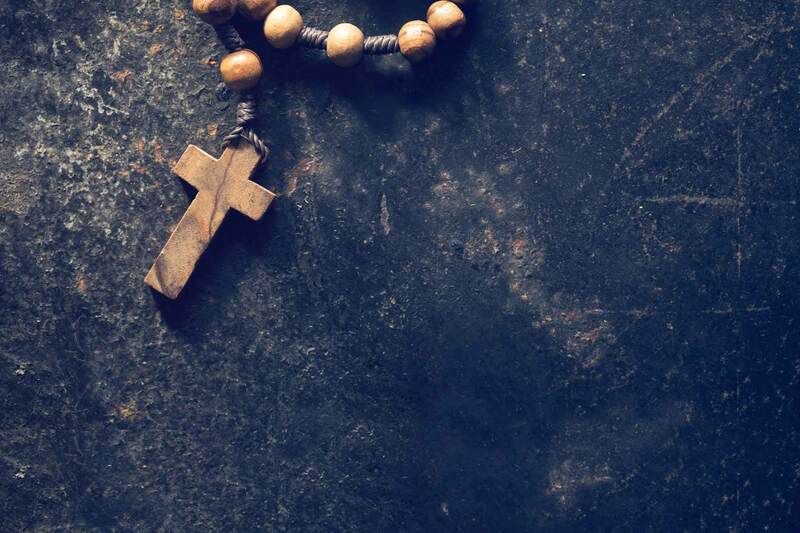 In June, 1985, the mortgage was paid, and the parish remains essentially free of debt. However, rising costs and declining participation, a sign of the times, have placed a severe challenge to the parish to make ends meet. This reality has a direct effect on our ability to; maintain the physical plant, offer vibrant worship, educate our children, and to adequately staff our office in order to properly serve you. Please remember that we are a family who has inherited a great institution of loving worship. Let us commit as a people under God to insure that, we all play our part to ensure that this holy place is available to our children and our children's children for many years to come. That's the least we can do to properly recognize the loving gift of this parish that we received from our ancestors for us to steward.